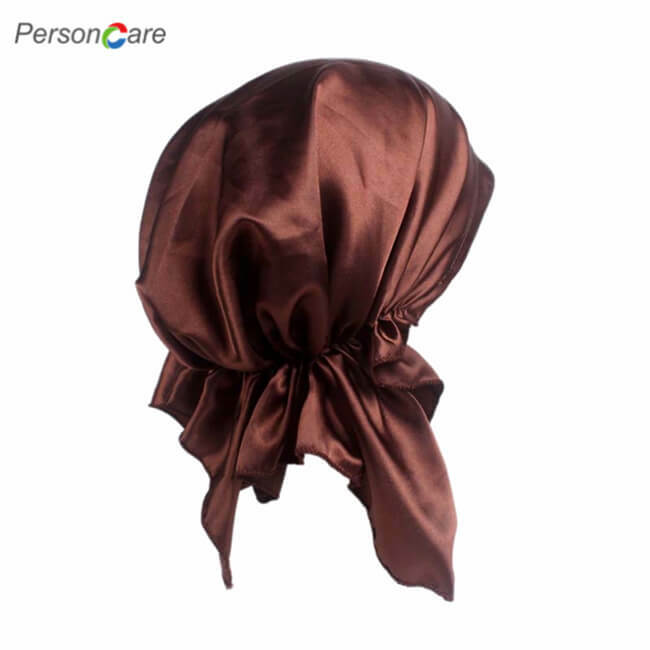 PersonCare's sleep cap is made with a brand new textile, the satin fabric is 65% polyester and 35% silk. Unlike the usual cheap satin you can find. 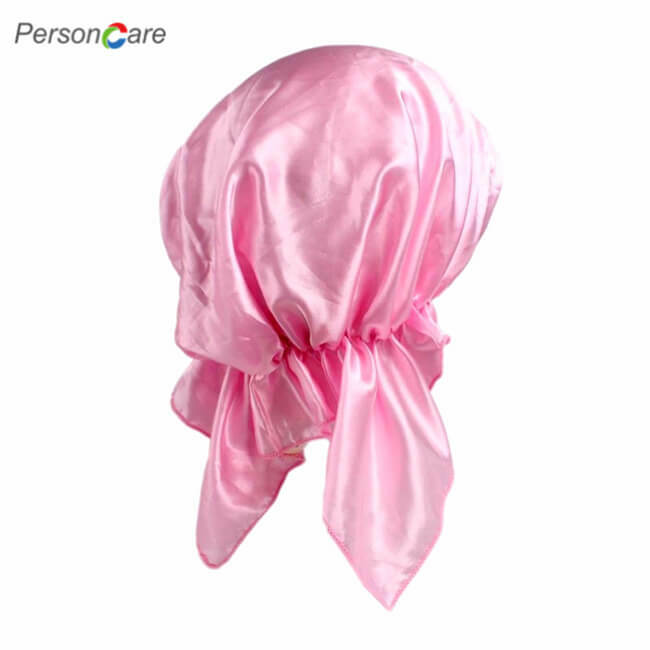 The bonnet is soft and breathable, and feel amazing soft. 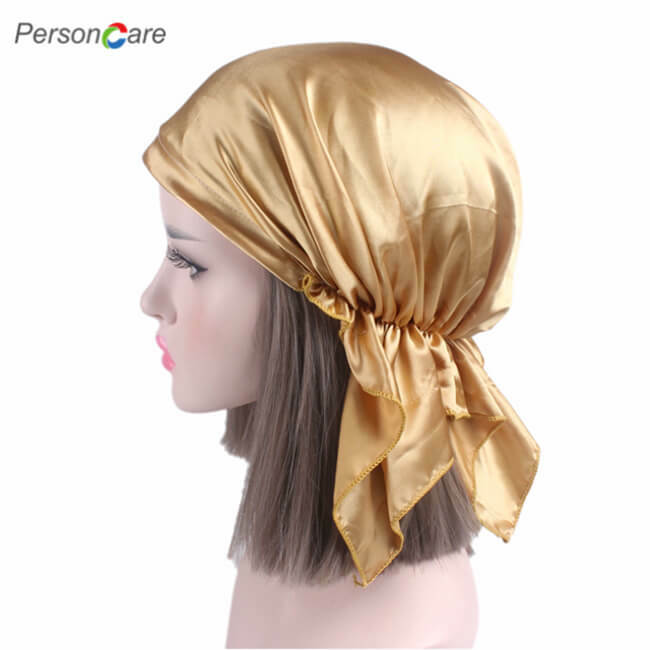 Exquisite fabric protect sensitive scalp warm no sweat cool no cold. PREMIUM QUALITY: The sleep cap is made with a brand new textile, the satin fabric is 65% polyester and 35% silk. Unlike the usual cheap satin you can find. 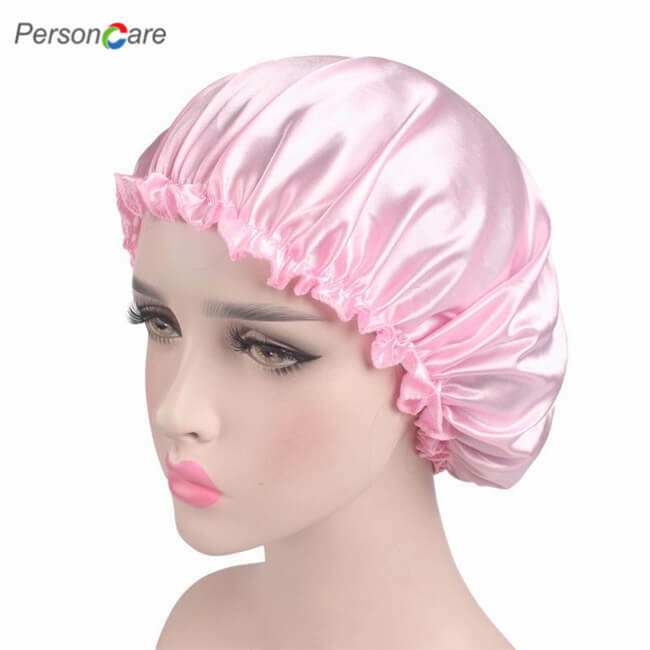 The bonnet is soft and breathable, and feel amazing soft. 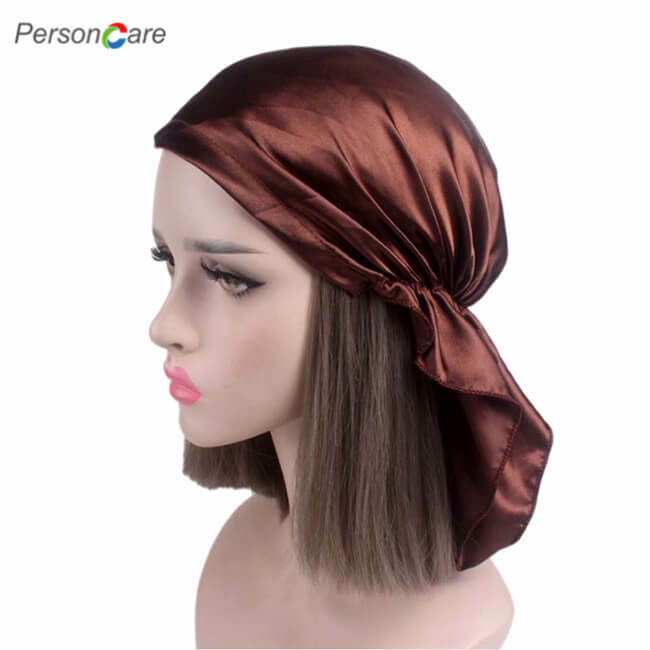 Exquisite fabric protect sensitive scalp warm no sweat cool no cold.. EXTRA LARGE SIZE TO FIT ALL HEAD SIZE: Normal size 15inch*15inch,No tight and no-slip, no matter how thick your hair. Great for holding natural hair, braids, weaves, rollers, hair clamps, long hair, and up-dos. Should be a perfect fit. WIDE BAND DESIGN FOR COMFORT AND EDGE PROTECTION: Protect your edges with the our protective satin perimeter edge. Our modern design holds hair in comfortably without the large ruffled edge look. Comfort around temples and edges with no pulling. 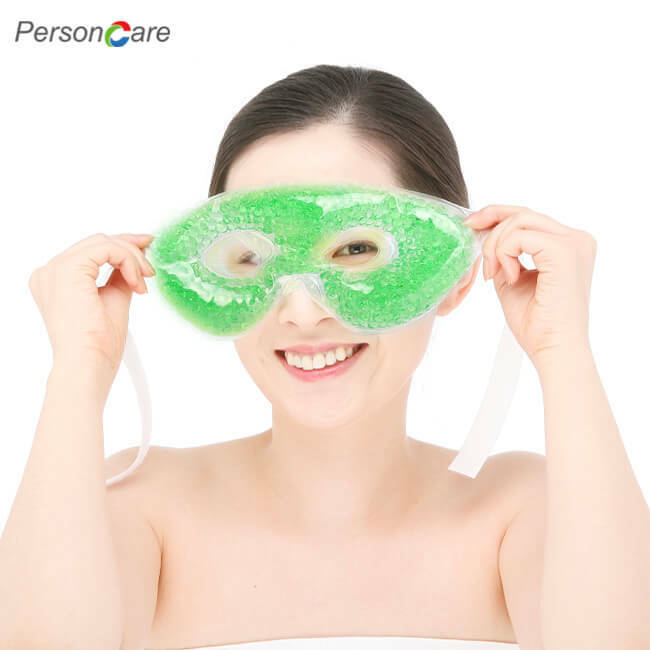 Dying STANDARD: We keep USA or EU products standard in mind, our bonnet reach USA Proposition 65 Standard - 4 Level Rubbing Color Fastness, Disperse Free and AZO Free Dying. 30 DAYS GUARANTEE: If any other issue, Please feel free to contact us for solution, we’ll reply you in 24 hours, we will try our 200% effort to make you 100% satisfy. Or please return it within 30 Days and Get Full Refund. So Get the satin bonnet with risk free now! 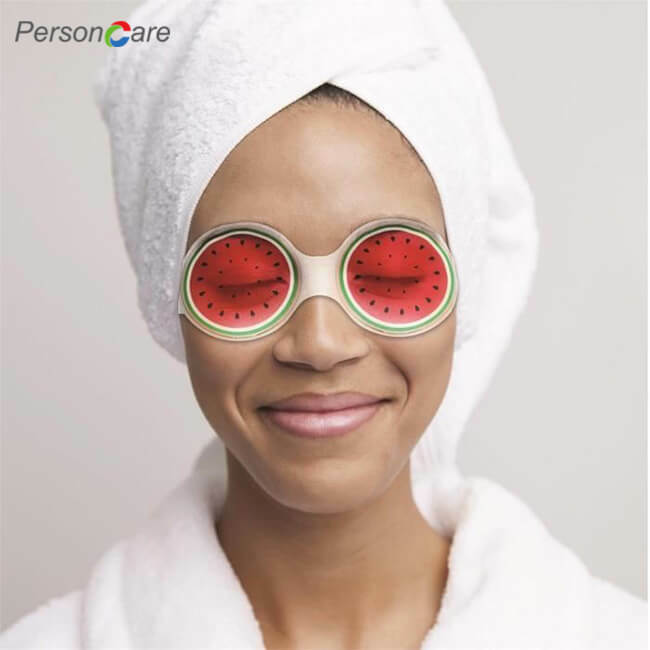 no damage to your hair even hair style, keep your hairstyle well with no more frizzy hair for a fresh and amazing effect, soft and breathable which can be worn just for fashionable looks building. 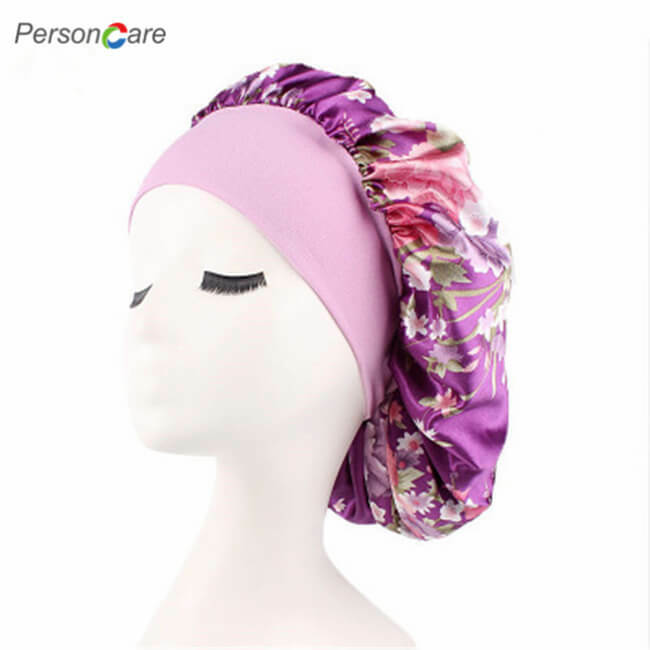 the caps can be wore to keep your hair in place when sleeping or hold your hairs when making up, washing face or showering; Great for most women or girls in many occasions. WHY CHOOSE THIS SATIN or SILK BONNET? It is premium customized elastic with soft bamboo fiber band. Excellent customized elastic really makes one size fits most. The high stretchy and comfy elastic is easier and more comfortable to wear when you are so tired on the bed. 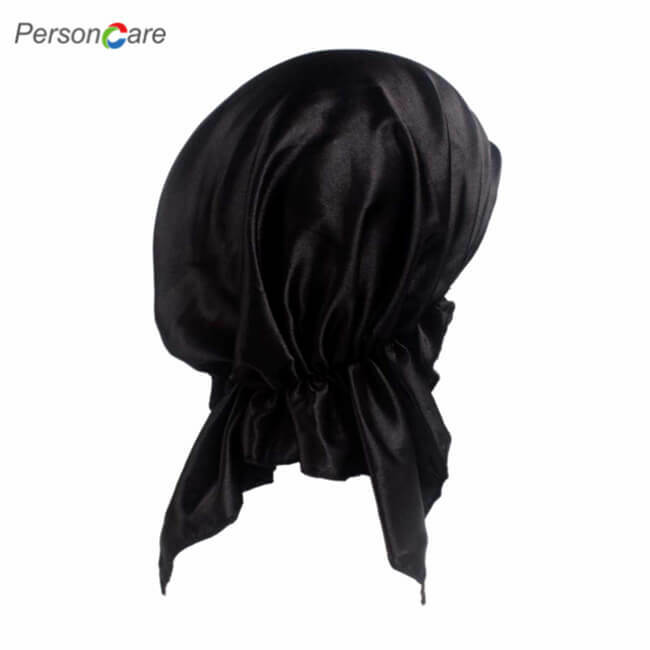 This double-layered satin bonnet is more smooth and softer than single-layered satin sleeping cap. Lock the moisture more thorough. Any side can be worn as per your hope. You get two nightcaps equivalently. Not only a sleep cap you get but also a headband. With this cap, you will never worry about the hair in your face. 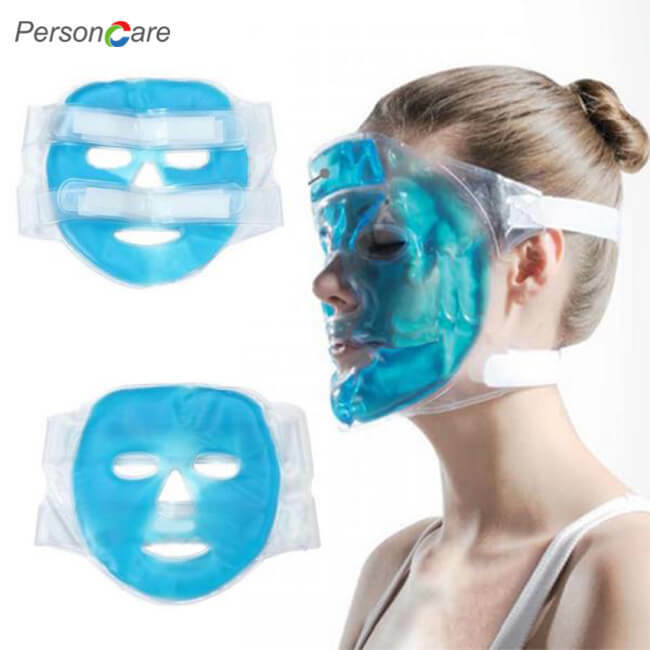 You can wear it for washing face, making up, or bathing. It can maintain your hairstyle at the same time. Single layer cap is recommended for people who like light single layer satin. Double-layered girl cap is large to fit most girls’ head and the thickness of hair, while the shorter elastic band makes cap stay on girls’ head. It’s recommended for girls 8 to 16 years old. This night cap is perfect for sleeping, which can protect hair from tangling or too dry. The satin bonnet is great for year round use. It is a ideal gift for your family, whether they have curly long hair or short hair. 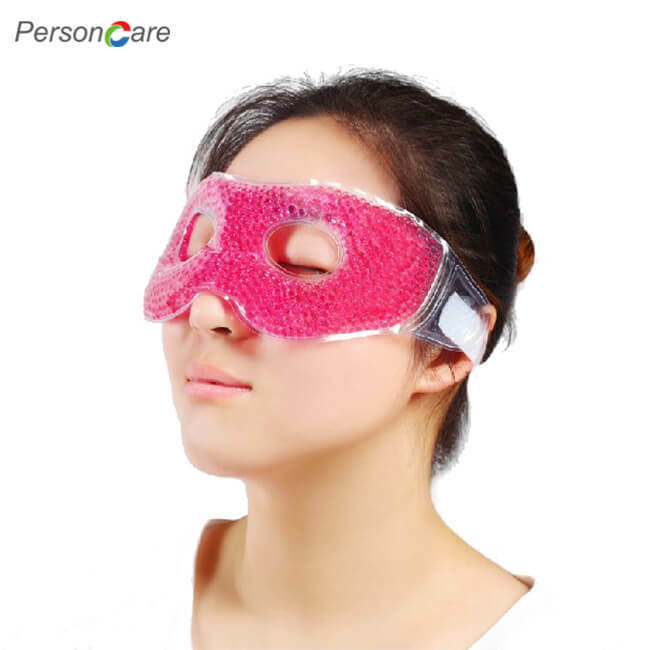 Of course, this product is also suitable for chemo patients. 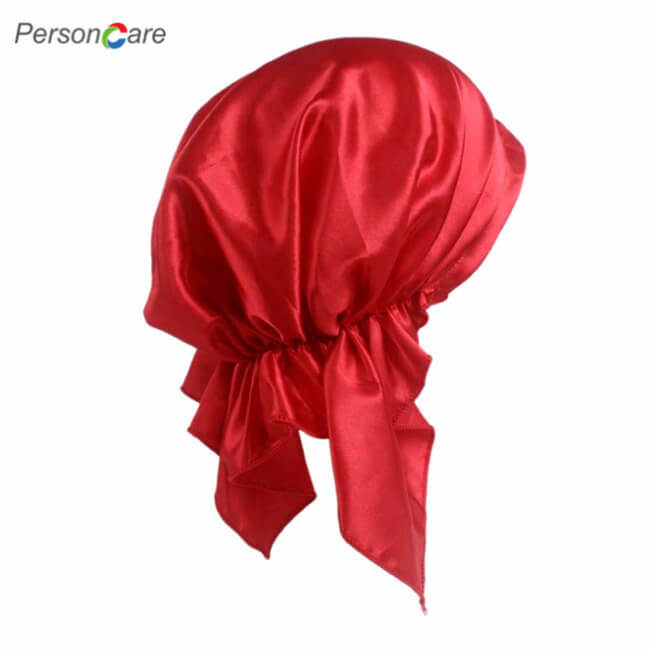 Women Silky Double-Layered Satin Sleep Cap with Premium Elastic Band. Add it to cart Now and get today’s super discount.